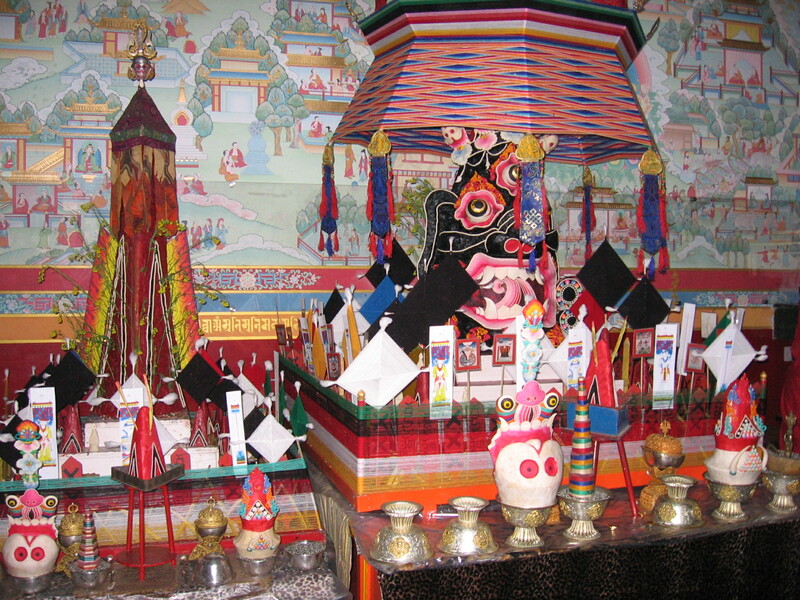 The large, triangular, red torma (l) and the black “activity aspect of the protector” torma (r) were placed beside each other in the shrine room for the duration of the Mahakala pujas. 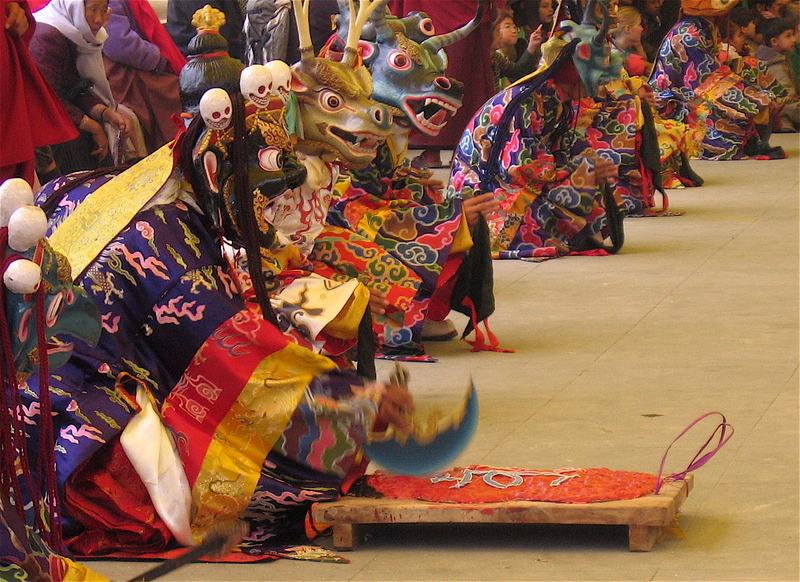 Once the dances started, they were brought outside separately on consecutive days. 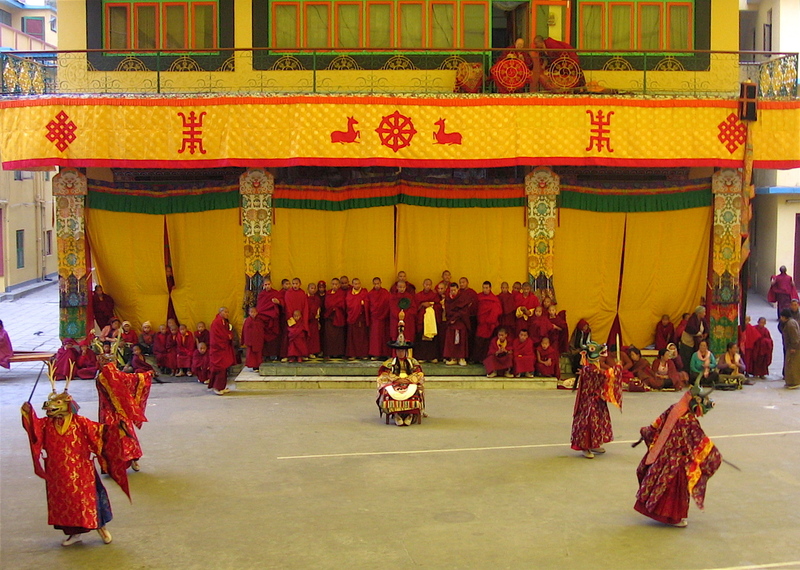 The first dance, from a vision of the 5th Karmapa, Deshin Shekpa, involved the red triangular torma. 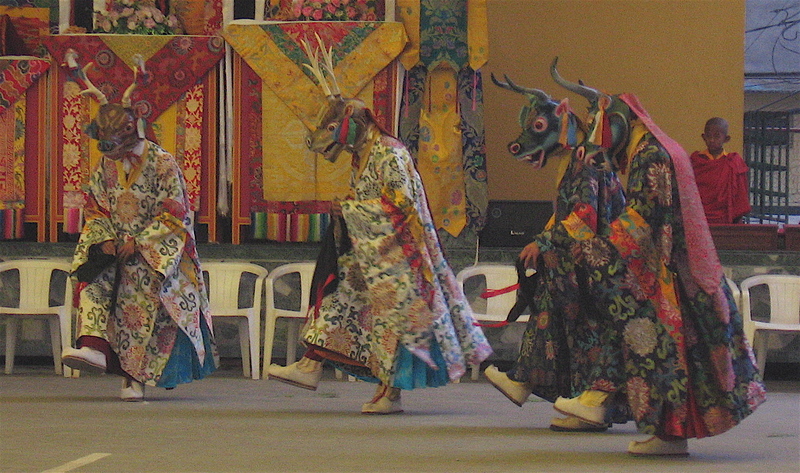 The second day’s dance called The Black Hat Dance, featured the black torma. 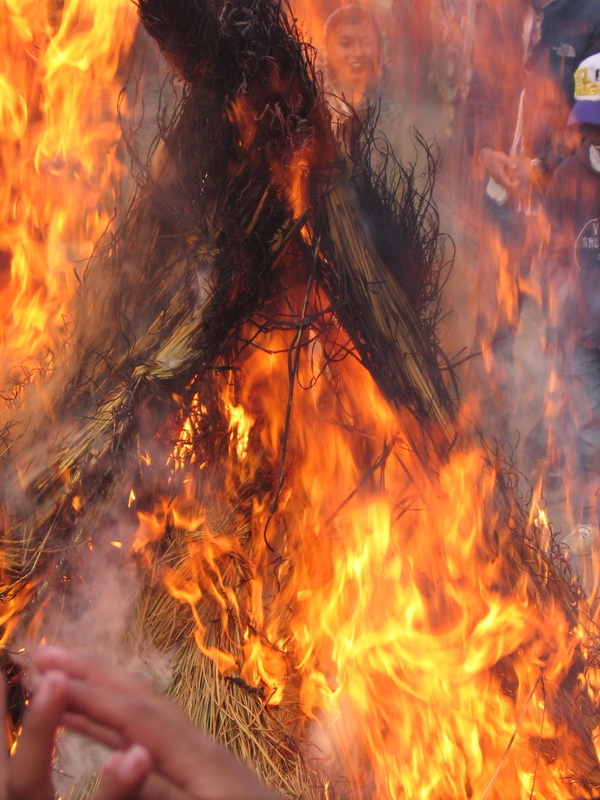 Each torma was burned in a bonfire at the end of the day’s dance. Straw tent prepared each day for torma. 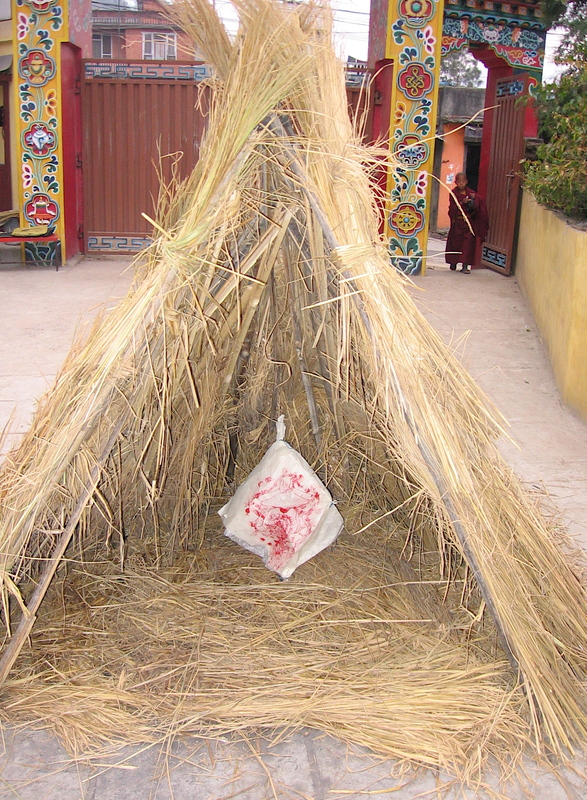 After the torma is placed inside, the straw tent is set on fire. 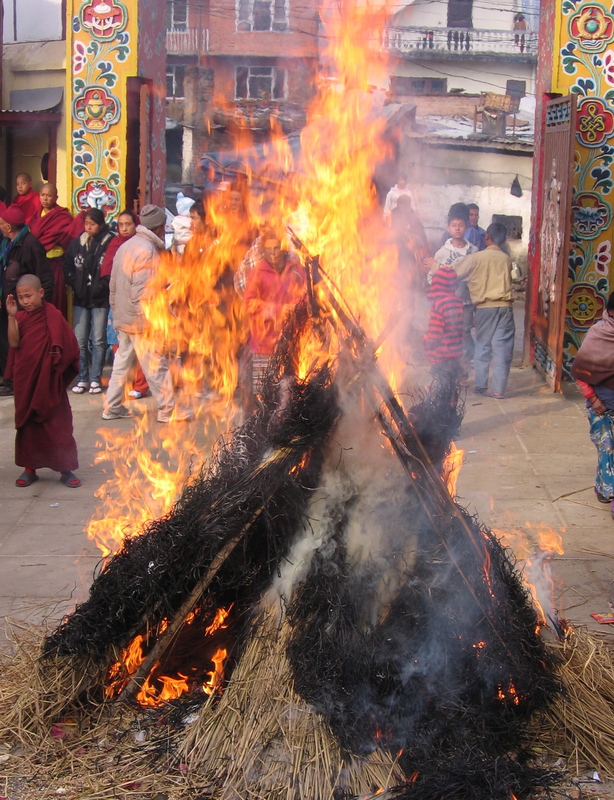 The torma goes up in flames. 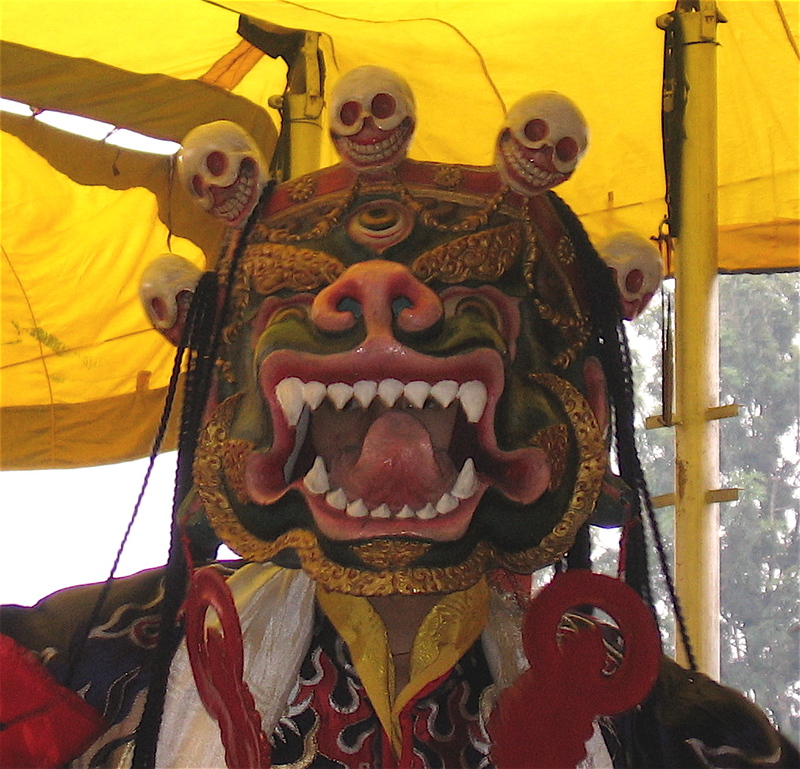 The Dorje Lopon (Vajra Master) sits amidst the skeleton dancers. 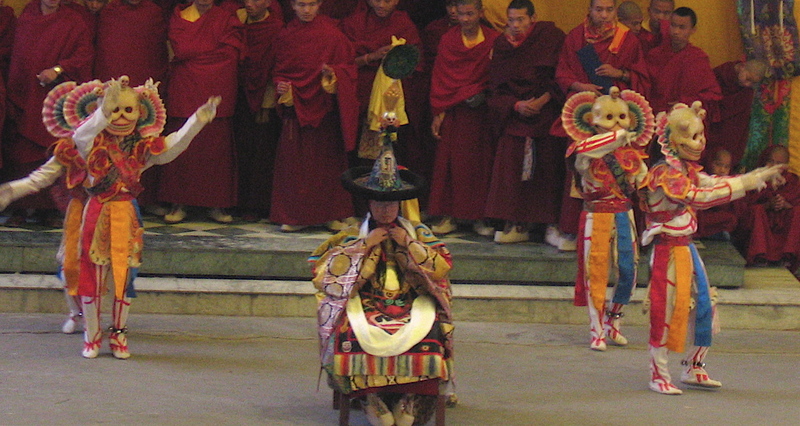 Kyabje Tenga Rinpoche watches the dance from his balcony. 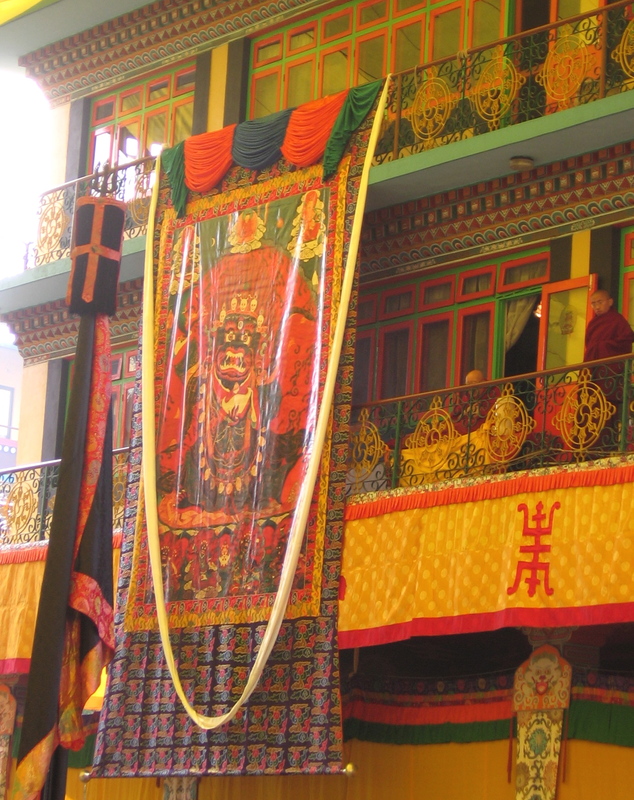 At one point, a large thangka of the wisdom protector "Bernachen" is unfurled near Kyabje Tenga Rinpoche's balcony. 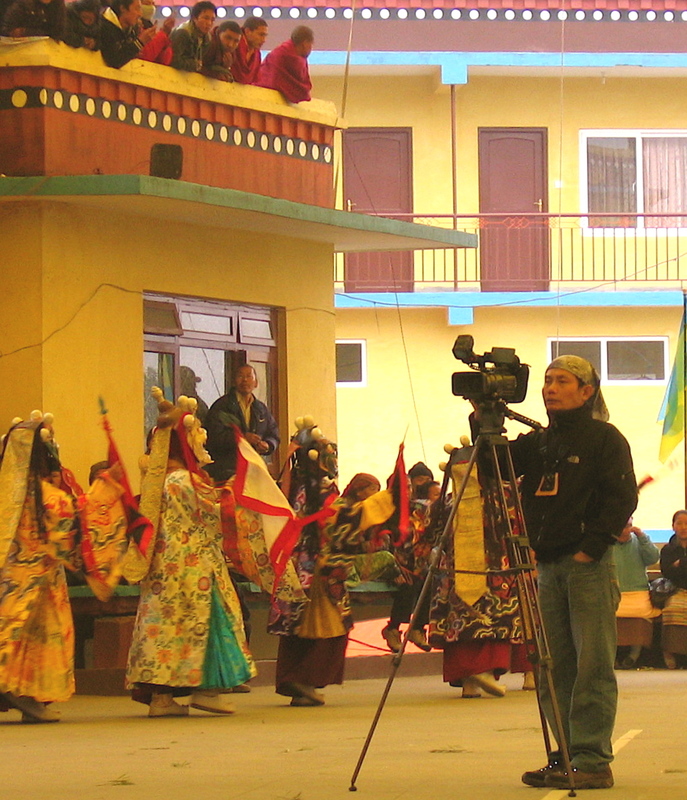 Cinematographer Ko Jung-Fa filming the dance. 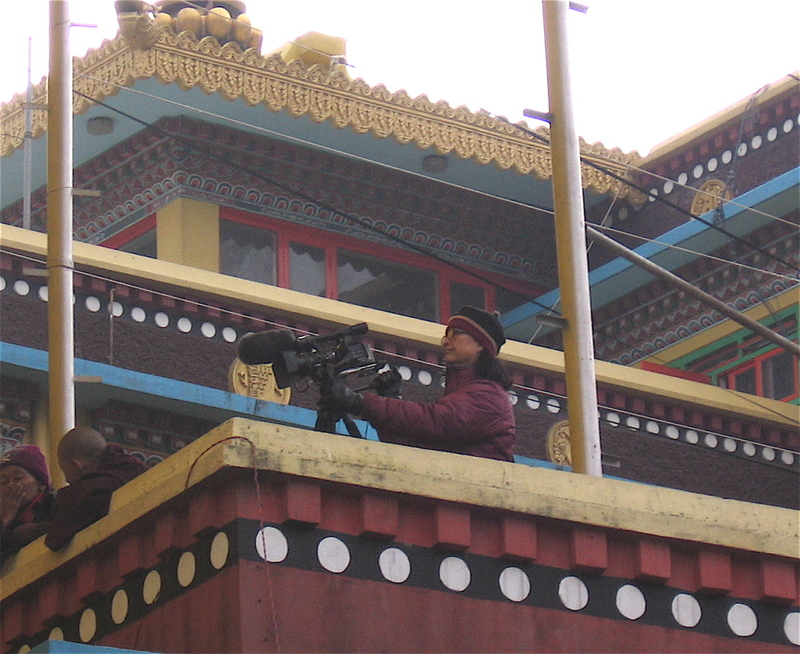 Cinematographer Cynthia Chao filming the dance from a rooftop balcony. 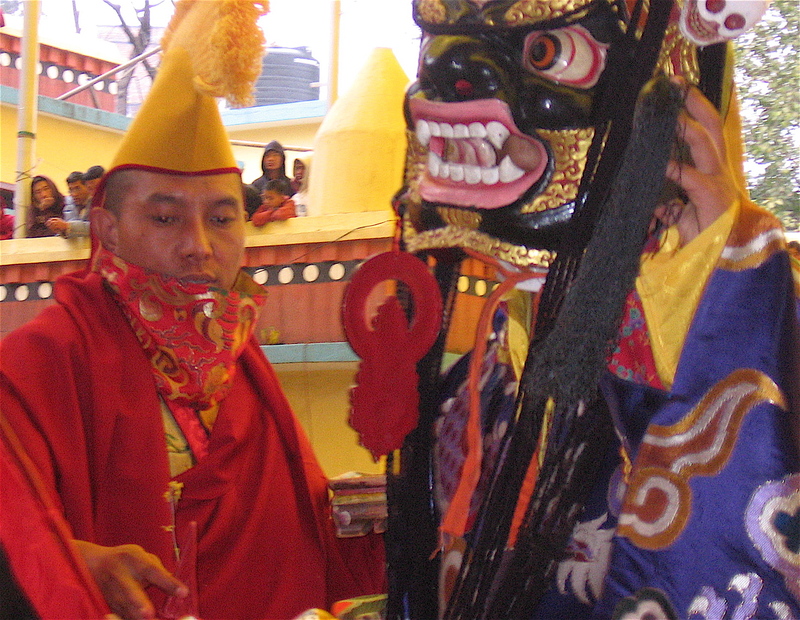 ← What is a torma?